Eric Selig is an associate with the firm. Eric graduated with a Bachelor of Art's degree in History from Emory University in 1989. He received his JD degree from Washington University School of Law in 1992. 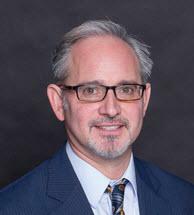 Eric was licensed to practice law in the State of Missouri in 1992 and the State of Vermont 1998. He began his legal career as a trial attorney in the St. Louis City Public Defenders Office and State of Vermont Defender Generals office where he tried over 25 felony jury trials. Eric was then selected as a member of the Missouri Civil Commitment Defense Task Force and has tried over 20 Civil Commitment Jury Trials. He them was in private practice at Evans and Dixon where he tried civil litigations cases. He joined the firm in April 2006. Eric has tried over 75 Jury Trials. To go after He joined the firm in April 2006. Mr. Selig's main areas of practice are criminal defense and civil commitment. Eric has been asked to provide legal analysis for MSNBC. In 2004, Eric was a Co-recipient of the Missouri Association of Criminal Defense Attorney's Atticus Finch Award for trial Excellence. In 2016, Eric once again received the Atticus Finch Award for Outstanding Criminal Defense and Trial Excellence.